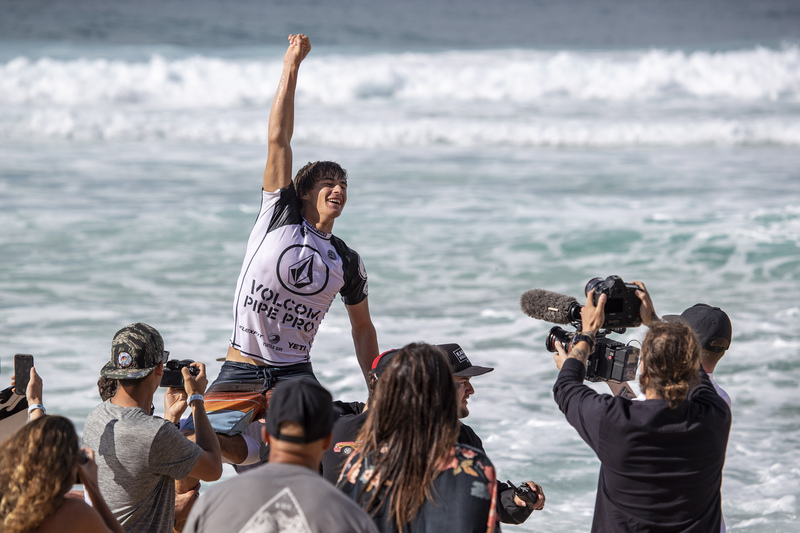 Jack Robinson (Margaret River, AUS) was crowned the 2019 World Surf League (WSL) men’s Qualifying Series (QS) Volcom Pipe Pro QS 3,000 champion outright in pristine, 6-to-8 foot (10-foot plus wave faces), occasional plus, WNW swell at Pipeline and Backdoor over a heavily-stacked finals day field. The 22-year-old fulfilled a part of his destiny with this victory, known for charging waves of consequence from a young age at his home of Western Australia. But, he's also put his time in at the mecca here on Hawaii's North Shore and finally capitalized on that experience." “I'm on top of the world, couldn't have more confidence to start the year off with a win here -- it's about as good as it gets," Robinson said. "It's the hardest contest all year and Pipeline I feel like chooses guys. If a wave comes it comes. You have to be so on to win this contest. You can do all the preparation in the world to be ready, but if the wave doesn't come to you then you're left on the outside looking in. Thank you to everyone for coming out and supporting me. I couldn't do this without my dad, my friends, my girlfriend -- all the local boys here make me feel at home." 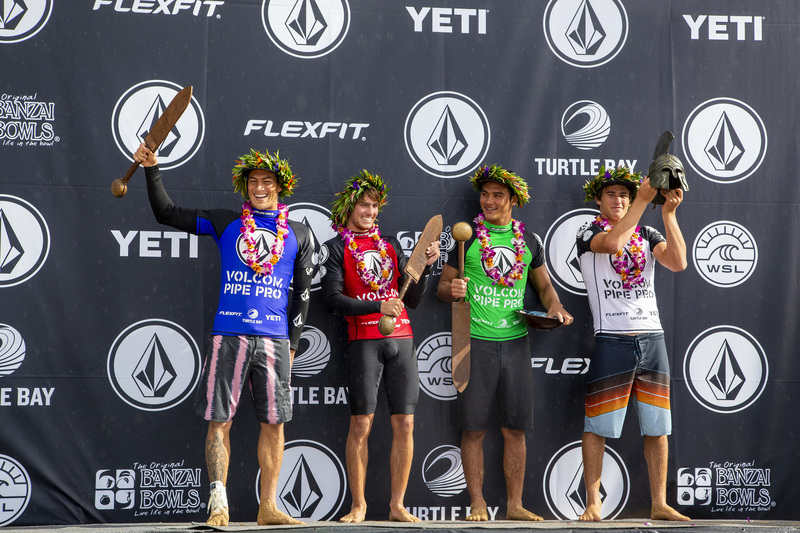 Robinson took on Hawaii’s, own Barron Mamiya, fellow Australian Reef Heazlewood, and the first Volcom team rider to make a Final at this event, and known Pipe charger, Balaram Stack (USA). An early start for Robinson garnered him a 7.00 (out of a possible 10) before Mamiya topped that with a 7.50. Heazlewood got in the mix with an excellent 8.00 to take the lead, but Robinson was quick to respond and threw himself over the ledge on a Backdoor bomb to post a 7.87 and ultimately claim the victory. Now, Robinson looks to carry this momentum into the rest of 2019. Runner-up Mamiya, along with Robinson, posted a Perfect 10 en route to his terrific finish and set himself up for a big year on the QS. 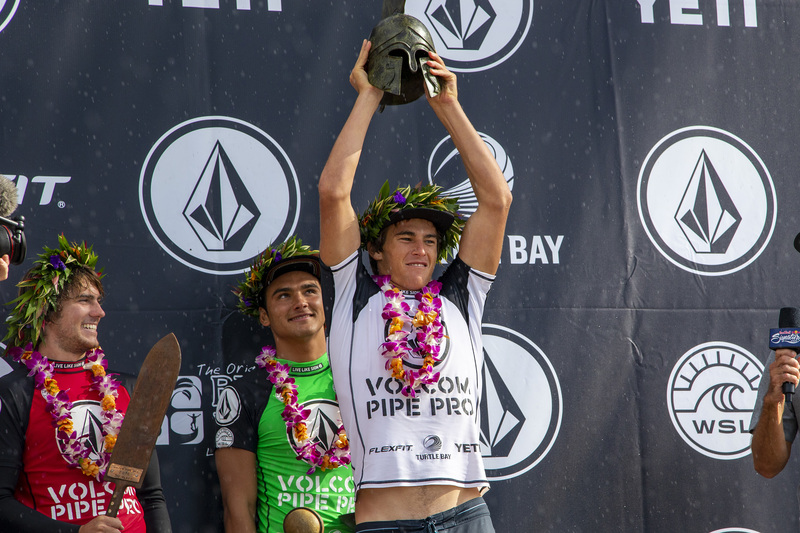 The 19-year-old also earned the Banzai Bowl “Life in the Bowl” award for best barrel with that Perfect 10. It marks a great start for the young, upcoming QS threat as he has his goals set high heading into a full season -- his first full-time year away from the Pro Juniors. Starting the year off with a bang, Heazlewood is also on the watchlist for 2019 threats and proved it today -- taking down defending event champion Joshua Moniz (HAW) in the Quarterfinals en route to his third-place finish. Now, the Australian plans for a big run at home with two QS 6,000-level events awaiting, along with another QS 3,000. “This was beyond any of my expectations and it’s crazy just having everyone here for my first Final,” Stack said. “It’s my favorite wave in the world and you couldn’t ask for much more. I’m taking this home forever. Right when I was going down for the heat every time, all the boys just yelling was probably the best part (laughs). That was just incredible and those boys were pushing it all event so to share that with them was great." Finishing off notable moments, North Shore, Oahu's, own Kalani David earned the prestigious Todd Chesser Charger of the Event Award, presented by the late Chesser's beloved mother Jeannie for showing heart and remaining humble both in and out of the water while putting on a great display of surfing.